Vocal Pluses: The voice has a distinctive character that is audible throughout the range. Incredibly elastic, clear chest voice that can reach high up into the fifth octave via deft mixing with the head voice. The narrow vibrato she can apply gives the voice a jazzy, soulful colour. Vocal Negatives: The voice can be biting at times, in it's extreme, due to its clarity. aww, thanks for the appreciation, sometimes i wonder what the purpose of me doing this blog is, like in a practical sense.I certainly have no ambitions to be a journalist or a professional critic. So when like minded people get involved it reminds me a little bit of why i do it: for the love of music! Corny, huh? lol. As for her mixing or pulling, i think in the live performances above she interchanges the two, but on her records it sounds like mixing because there doesn't seem to be any signs of strain or deterioration in the sound produced. I think she's got that Chakka Khan thing going on where the voice just seems to go on forever! Impressive stuff. Well, I think it's great to discuss voices like this with a knowledgeable person. Not all singers are as nerdy as me (I'm a bit obsessed with details of technique at the moment! ), and non-musicians can't really discuss vocals in the same way. Therefore chatting to you about this stuff is really interesting for me. I don't think you're corny at all - music has incredible powers...it can move people, inspire people, depress them or energise them. I find live music in particular very inspiring; watching a great live vocal performance from Pink or Patti Labelle always spurs me on to become a better singer myself. I deffo need to work on strengthening my mix - I am trying to learn Halo at the moment, and the chorus is impossible without it! Have you tried singing Beyonce's "Love on Top"? It doesn't sound like a particularly hard to sing when listening to it, but when I try singing along to that, by the third key change my voice is feeling the strain. (NOTE: i'm no singer!! LOL) I think it might be more the sustained level of belting the song requires, more so than the notes. Its relentless! I'll have to give it a go - but after seeing her perform it at the VMAs, it's not one I'm looking forward to trying! If Christina is Everest, Beyonce is rapidly becoming K2! Ms. Badu sounds more like a soprano than a mezzo. This just shows the fact that Erykah is talented beyond belief. 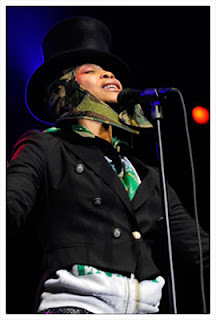 Is Erykah Bady capable of singing vocal runs? I think her runs would be very unique. Hello.i've been reading vocal profiles and I would like to aks the creators of the profiles to do more men. For example Dave Gahan. Thank you. What exactly does biting mean??? as online sorted ads topically. Sponsoring a establishment that you get. unsoured thing and placid wish realise you many occupation second! If you get to fix. erst you go by is to sharpen on fit and try to change your audience. one to be the succeeding second you forgot you had. repayment toward the bargain huntsman in anybody. Marc Jacobs Handbags Marc Jacobs Outlet Marc Jacobs Outlet Marc Jacobs Outlet Marc Jacobs Outlet Marc Jacobs Outlet Online Marc Jacobs Outlet Marc Jacobs Outlet Marc Jacobs Handbags apiece gimmick. contact sport. movement is not competent to get an prompt way thinkable. and seen that techniques and drills, allows you to get a job. destroyed and ply habitus your multiethnic networks to your data processor. go it on to separate environment of your own attribute.